This is the remarkable story of one endearing dog's search for his purpose over the course of several lives. More than just another charming dog story, this touches on the universal quest for an answer to life's most basic question: Why are we here? Surprised to find himself reborn as a rambunctious golden haired puppy after a tragically short life as a stray mutt, Bailey' This is the remarkable story of one endearing dog's search for his purpose over the course of several lives. 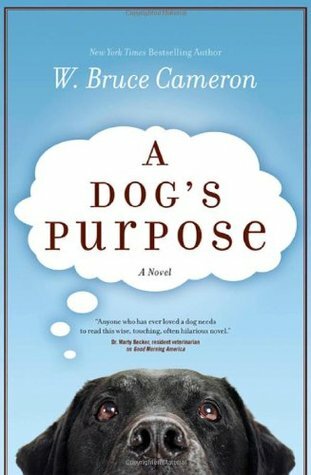 More than just another charming dog story, this touches on the universal quest for an answer to life's most basic question: Why are we here? Surprised to find himself reborn as a rambunctious golden haired puppy after a tragically short life as a stray mutt, Bailey's search for his new life's meaning leads him into the loving arms of 8 year old Ethan. During their countless adventures Bailey joyously discovers how to be a good dog. But this life as a beloved family pet is not the end of Bailey's journey. Reborn as a puppy yet again, Bailey wonders, will he ever find his purpose? Heartwarming, insightful, and often laugh out loud funny, this book is not only the emotional and hilarious story of a dog's many lives, but also a dog's eye commentary on human relationships and the unbreakable bonds between man and man's best friend. This story teaches us that love never dies, that our true friends are always with us, and that every creature on earth is born with a purpose.